In the House of Commons, Neville Chamberlin (Ronald Pickup) is nearing the end of his duty. Hitler’s attempts to slow down the war machine have failed, and political allies are gathered around his comrades in search of succession. Most of the party wants Viscount Halifax (Stephen Dillane) to assume the role of the Prime Minister, but feels the nature of the office, which is potentially going to war with declines on the horizon. 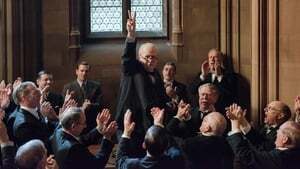 There is only one man on either side of the aisle that they will find acceptable for the position of Head Minster, Winston Churchill (Oldman). The life of the public service is now preparing Churchill. 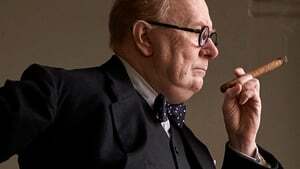 However, the past, including the infamous failure of Gallipoli, leaves Churchill with fair share of critics, including King George VI (Ben Mendelsohn).